Automation & Security provide perimeter security solutions throughout Ponteland and beyond. Whether it’s electric gates, security barriers or bollards they can protect your commercial property from unauthorised access. 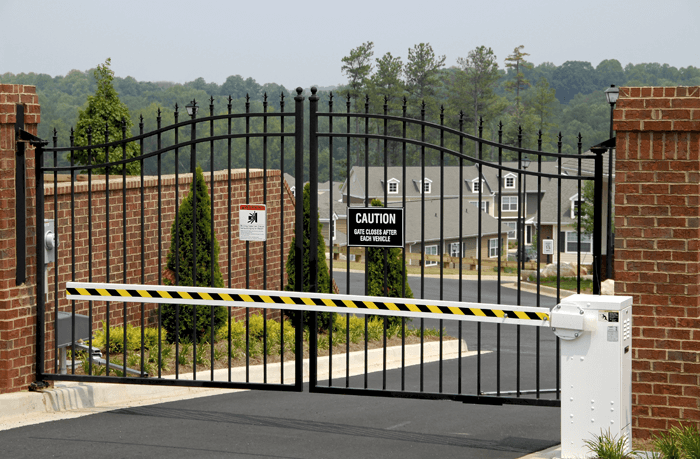 Whether you are looking for entrance, sliding or swing gates, Automation & Security can help. As well as stopping unauthorised access from your premises, their range of commercial electric gates can help improve the aesthetics of the property and will seamlessly blend in. They provide automated gates from the leading manufacturers giving the client the full peace of mind they will receive a quality product. Automation & Security have been supplying, delivering, installing and maintaining security barriers and perimeter solutions or the last 20 years. Arm barriers can help with traffic flow and stop unauthorised access to your premises. Their range of manual and automatic security barriers come with a range of options including access control and automation. Adding automation to a security barrier can help reduce manpower and allow only authorised personnel to your property or car park. Whether it’s static or retractable security bollards, Automation & Security can help in Ponteland. Bollards can help protect your premises from ram raid whilst still allowing pedestrian access and are often seen in areas such as airports, shopping centres and hotels. Retractable security bollards are unobtrusive and easy to install and setup, whilst resilient even at high impacts. As well as bollards they can also provide pedestrian posts and lift-out perimeter hoops. For those looking for high impact or anti-terrorism solutions, Automation & Security provide PAS68 perimeter security. Their range of anti-terrorism electric gates, barriers and bollards are made to withstand vehicle impact even at high speeds. The flooding over the last couple of years has caused major problems for properties up and down the country to a devastating effect. Automation & Security’s wide range of flood defence gates can help protect your property from flood damage and keep you operational even in extreme weather conditions.